Please welcome Dr. Alyssa Ochiai (Dr. O) to the practice for additional treatment opportunities! 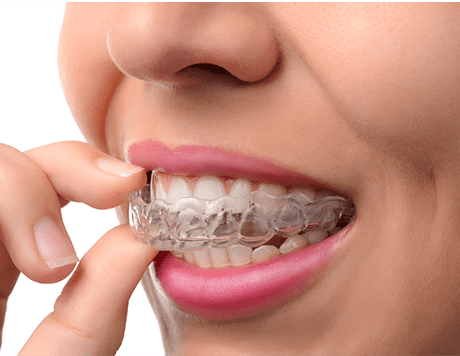 Interested in cutting your Invisalign treatment time in half? Call our office for more details about Propel's Vpro5 Device! About Dr. Robert S. Huang, D.D.S. Robert Huang, D.D.S., is a leading dentist in the Carthay, Los Angeles area, focusing on providing superior dental care with a compassionate approach and amazing results. Born and raised in Santa Monica, Dr. Huang has spent nearly a decade working with his uncles in a group practice in San Gabriel. His new practice in Los Angeles provides Dr. Huang with a new, state-of-the-art facility where he can continue to provide top-quality care to patients of all ages. Born into a family of dentists and healthcare practitioners, Dr. Huang developed an interest in following in his relatives' footsteps at an early age. After earning his bachelor's degree at La Sierra University, Dr. Huang received his doctorate degree at Loma Linda University School of Dentistry. As a board-certified dentist, he is committed to advancing his understanding of dentistry by attending regular continuing education classes to learn new and emerging techniques so he can offer his patients the highest quality care. As part of a personal and professional commitment to help all patients have access to affordable dental care, Dr. Huang has participated in multiple missions to provide care to patients in low-income and underprivileged communities. Locally, he has volunteered at elementary schools and tutoring centers, where he provides instruction in oral hygiene, and he also actively participates in several local charities to build a stronger community. In addition to offering patients a comprehensive range of dental services, from fillings to Invisalign to implants and everything in between, Dr. Huang also provides a warm, comfortable environment where patients can relax, and every treatment room has a flat-screen television to help patients feel more at ease. His friendly and compassionate approach have won him both loyalty and praise from his patients, and he is skilled in working with children as well as adults. His Los Angeles office uses the most advanced equipment such as digital and low-radiation x-rays for safer, more effective treatment and optimal results, both for regular care and emergency treatments. Outside of his practice, Dr. Huang enjoys yoga, meditation, snowboarding and bicycling, as well as multiple styles of dance. He also has interests in music and cooking. In addition to English, Dr. Huang speaks Mandarin Chinese and Taiwanese. Blue Pearl Dentistry is proud to announce our introduction of new technology to better support your experience with dental impressions. Welcome to Blue Pearl Dentistry. We understand the importance of good dental health. We are committed to providing you the best care. To make your visit as pleasant and easy as possible, we ask that you click on the link below to fill out our new patient forms prior to your scheduled appointment at Blue Pearl Dentistry. Please click 'submit' after completing all the forms (not after each form). Please be aware that our office is completely paperless therefore printing out these forms is not necessary as it will be sent electronically to our office upon completion. Below is the link to the Dental Materials Fact sheet that you will see in the office. Feel free to look this over before your appointment!